… I had to enlarge the pic of the minor to understand it was a hammer he was holding. Did Carter take any of the photos? It looks like they used David as the prototype for the virile copper miner. My David took that as a big compliment. Oh wait, you didn’t mean him????? Of course I meant HIM! Is there another David? 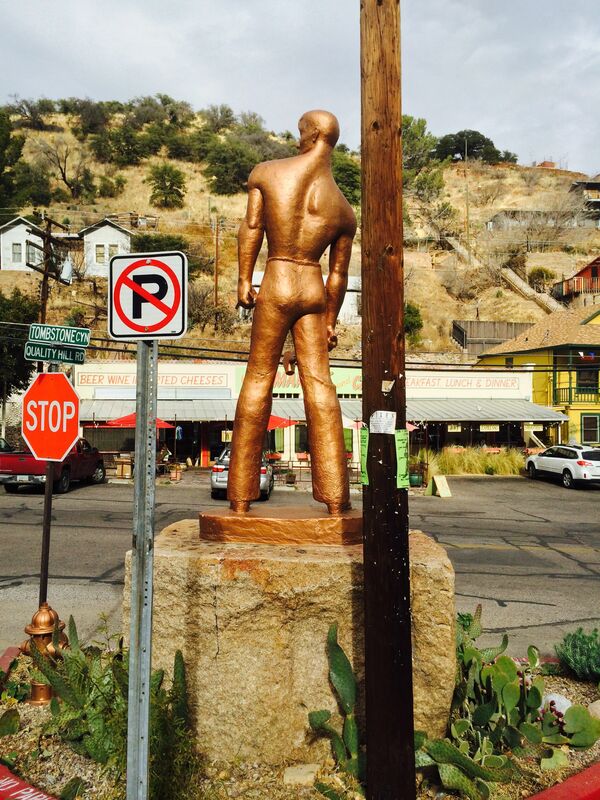 Jake is now adding Bisbee to his list of towns to visit on the cross-country trip he’s planning. Thanks to your family and blog, he has planned a trip from Oregon to Maine. And he’ll be super upset if we don’t do it SOON. How fun!! We did Tombstone yesterday and I think the BEST part was meeting up with two other traveling families and touring the town together. Didn’t make it to the graveyard yet, but I’m thinking we need to go before we leave. Excited to check out Bisbee tomorrow!